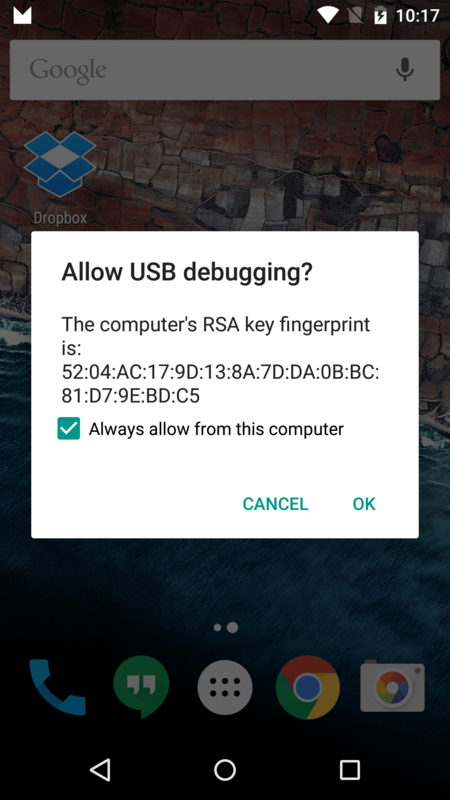 Now you need to make sure USB debugging is enabled on your Nexus device. 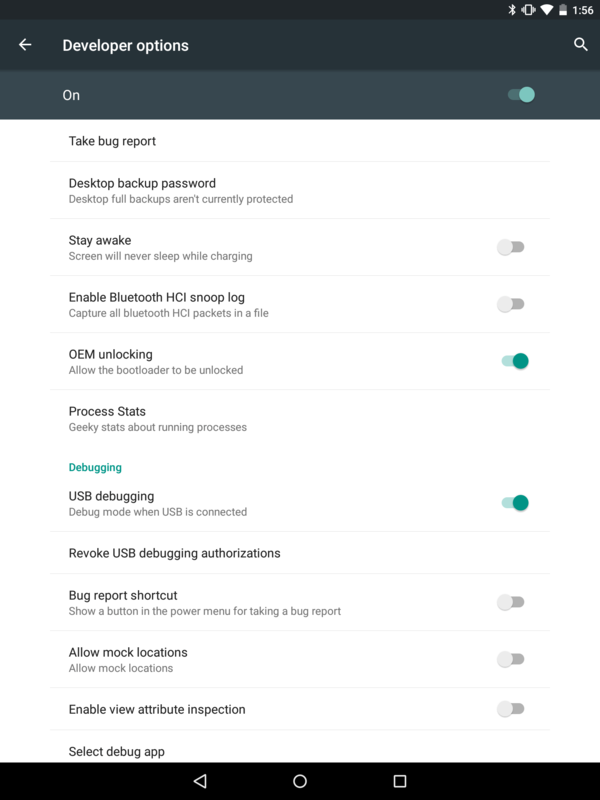 Open Settings on your Nexus device. If you do not see Developer Options toward the bottom of the Settings screen on your device, follow these steps to activate them. Check to enable USB Debugging. Before you connect your device to the USB port on your computer, you want to make sure you have the appropriate drivers installed. You should be all set if you opted to install the Android SDK Tools. If you instead chose to install Minimal ADB and Fastboot, you can grab them here. Since you’re working with a Nexus device, you specifically want the Google USB Drivers. The download will be a zip file, so extract the contents where you wish, and remember the location. Now connect your device via a USB cable and you are ready to flash the zip file that you extracted earlier. If you’re connecting your Nexus device to your computer for the first time, you will get a popup box on your Nexus device stating what the computer’s RSA Key is. Just check Always Allow From This Computer and tap on OK. 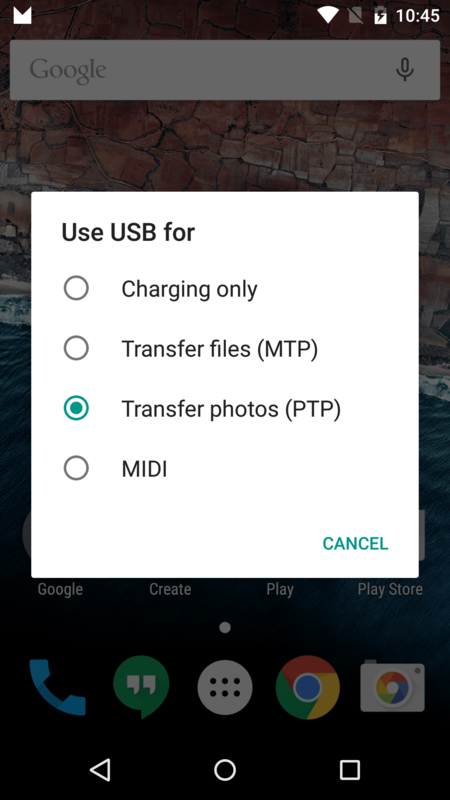 If your Nexus device doesn’t show the RSA key popup, then open the notification panel and select USB For Charging Only and change the mode to Transfer Photos (PTP). On your Windows desktop, go to your Control Panel then Device Manager. You should see your Nexus device under Other Devices with a Yellow ! mark on it. Right-click on it and select update driver. Choose Browse my computer for driver software, and choose the directory where the Google USB Drivers are. If you chose to install the Android SDK tools and followed our instructions, they should be in the C:android-sdkextrasgoogleusb driver folder. If you chose to manually download the Google USB drivers, just navigate to the folder that you archived the contents of the Zip file in. If your Nexus device still doesn’t show the RSA key approval popup, then open the command prompt on your desktop and navigate to the folder where ADB and Fastboot reside. 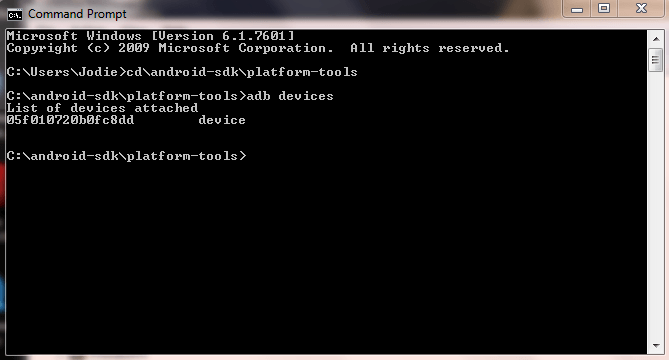 If you followed our instructions from the Installing ADB and Fastboot section, it will be in the C:android-sdkplatform-tools folder. 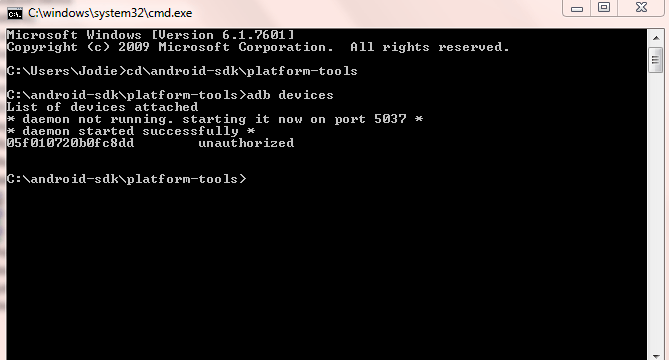 Just type cdandroid-sdkplatform-tools at the command prompt in Windows. If ADB and Fastboot are somewhere else, just navigate to that location instead. The RSA key approval popup should now be visible on your Nexus device. Just check Always Allow From This Computer and tap OK.
You are now ready to install the OTA update.